Paying child support is not all that common. In fact, in the United States alone, more than 39 million people exchange $220 billion dollars in child support annually. In addition to this amount, our federal government collections $31 billion in child support annually for parents who are not receiving their court-ordered child support. In cases where parents have joint custody, child support payments are not required from either parent. While there are certain cases in which this is true, most of the time some form of child support will be awarded. The goal of child support is to ensure the financial burdens for the children are equally shared. Child support payments are tax deductible. Actually, there is absolutely no effect whatsoever on income taxes from child support payments. The parent who receives the payments is not required to declare the payments as income, and the parent who makes the payments is not allowed to use them as deductions. When a child turns 18 child support immediately stops. While this might have been accurate in the past, the laws have changed. It is possible for children over the age of 18 who are still in high school, to receive child support. Children with disabilities which will prohibit them from ever being self-supporting may also receive child support for much longer than the age of 18. Once the children turn 18, back child support can no longer be collected. There are no statutes of limitations regarding child support payments, which allows the receiving parent, in some situations, to collect unpaid child support long after the children are grown and gone. Child support payments must be spent only on the children. This is a very common myth, and many an attorney has received an angry phone call from the paying parent who says their ex is spending the child support money for eating out and taking trips rather than directly for the children. 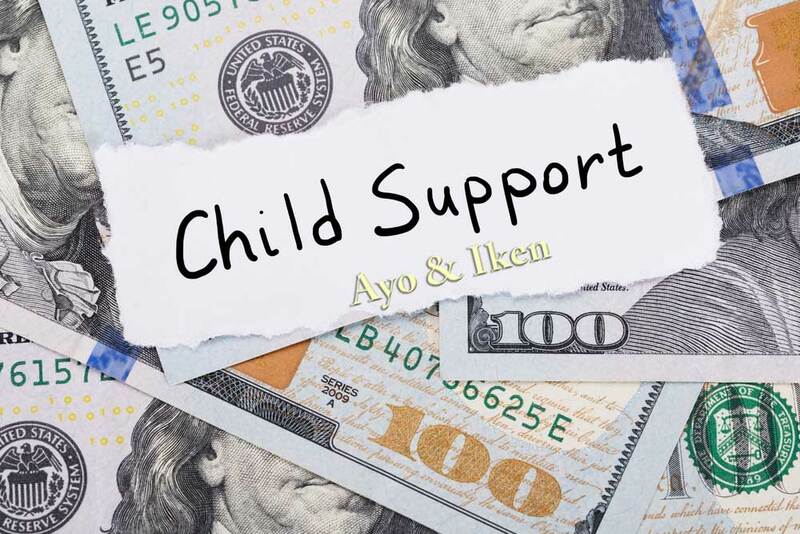 Child support payments can be used for many things which indirectly or directly relate to the children such as a roof over their heads, groceries, utilities, insurance or many other things. A related myth is that the paying parent has a right to know exactly how their child support payments are being used. There is no requirement on the part of the parent receiving child support to detail how the money is spent. If the parent who pays child support purposely quits his or her job, the child support payments will be lowered. The court is wise to this tactic, and when an underemployed or deliberately unemployed parent comes before them, they may impute an income for that parent based on past employment, skills or education. In other words the court will have little patience with a parent who chooses to be unemployed, or works at a job far below his or her education and skill level. Child support is made final during the divorce proceedings. While current income and expenses are used to determine the amount of child support, most couples cannot look into the future and magically know that one child will have to have braces, another will want to go to a private school, one may have extraordinary medical expenses, or another will want to attend summer camp. Child support modification requests are typically filed several times over the course of the child’s life due to unforeseen circumstances and changes in income, expenses or employment on the part of the parents. Child support is nothing more than a payment made every month. Actually, supporting children requires ongoing communication, agreement and negotiation, and additional expenses which crop up over the course of any given year must be discussed and taken care of. Likewise, those who believe communication with their ex will be over once the divorce is final, are very wrong. Until the children turn 18—and usually for many years after—parents must continue to communicate with one another because they share children. If I remarry I won’t have to continue to pay child support. Parents who pay child support who believe this myth are in for a big shock. The new spouse likely believes too much money is being paid while the ex’s new spouse probably thinks too little is being paid. When families are blended, it is almost a certainty that all the issues will increase exponentially, however child support will continue as usual. Only fathers must pay child support. This might have been the case many years ago, as most of the time the mother was awarded custody of the children and the father was responsible for paying child support. In today’s societies, the court may order a father or mother to pay child support. There is a formula used by the Florida courts which takes into account the net income of both parents as well as the time-sharing agreement regardless of whether the parent is a mother or father. The divorcing couple can pick the amount of child support they deem fair. Not so. Child support is determined by state statute, and judges rarely deviate from the amount calculated under the formula. Private agreements between the parents are not enforceable unless they are written, signed, then filed with the court and approved by the court. The parent who pays child support is entitled to claim the child as a tax exemption. In reality the court will allocate the dependency exemption on each parent’s contribution to the cost of raising the children. The parent who receives child support may be awarded the dependency exemption, or it may be alternated between the parents from year to year. Child support modification are easy to get. If the parents are unable to agree on a modification to child support, detailed information must be provided by both parents in order to obtain such a modification. The process can actually be fairly lengthy and painful. Legitimately losing a job and being unable to pay support will land the paying parent in jail. Jail is only a threat when the capability to pay the court-ordered child support is there, but the parent refuses. A parent who has no ability to pay cannot be punished for non-payment of child support. Moving to another state allows the paying parent to avoid child support. Every state has a child enforcement agency, and they all work together. Moving to another state will not help a parent avoid paying child support. Child support payments are set in stone once determined by the court. Actually, there are a variety of reasons which can trigger an increase or decrease in child support payments. If the paying parent loses his or her job, if either parent has a large change in income, or if there is a significant change in the needs of the children, a modification request can be submitted to the court. Under Florida laws, both parents are obligated to provide financial support for their minor children, during the marriage and following a divorce. Florida courts use specific methods of calculation to determine how much child support will be paid by one parent to the other. In many divorce and custody proceedings, child support can be one of the most important determinations the court will make. Generally, a determination will be made as to which parent is the primary residential parent, or which parent the children will primarily live with. Once this determination is made, the court will calculate the amount the non-residential parent will pay in child support to the residential parent. The court, after going through the Child Support Guidelines Worksheet, will order payment of child support which can vary only five percent from the final guideline amount. This variation will take into consideration any relevant factors such as the child(ren)’s individual needs, the age of the child(ren), the current standard of living and the financial status and ability of each parent. A variation of more than five percent may only be awarded when a written finding which explains why staying with the guideline amount would be unjust or inappropriate is included. The income of each parent is an important starting place to determine a final child support amount. Gross income includes salary or wages, any bonuses, commissions, tips or overtime pay, business income from self-employment, partnerships or corporations (business income equals gross receipts of the business minus ordinary and necessary expenses), disability benefits, workers’ comp benefits and settlements, pension, retirement, annuity payments, social security benefits, unemployment benefits, spousal support from a prior marriage, interest, dividends, rental income and any income from estates. If one parent is unemployed or underemployed, a monthly income will be imputed for that parent; if the unemployment or underemployment is voluntary, probable earnings will be determined based on recent work history. If either parent fails to participate in determining child support amounts by providing income, an income may be automatically imputed to that parent. Retirement payments, child support or spousal support for a previous marriage, health insurance payments, federal, state and local income tax deductions, federal insurance payments and union dues. Children with extraordinary medical, educational, dental or psychological expenses may change the amount of the support payments, as can any independent income of the child. Generally, older children will have greater needs, therefore the age of the children can be a factor in the adjustment of child support amounts. All assets available to both parents and to the child will be factored into the final amount as well as the impact of earned income credits, child care tax credits and the dependency exemption claimed on Federal taxes by one parent. When a Parenting Plan has the child spending a significant amount of time—yet less than 20% of overnights—with one parent, the amount of child support may be reduced accordingly to the parent whose financial expenditures for the child are reduced as a result. Should the parent who is obligated to make regular child support payments have other children living with him or her who were born or adopted after the order of child support, this will generally not be considered by the court as a reason to reduce child support amounts, although if that parent takes secondary employment primarily to support subsequent children, this extra amount may not be considered to modify the current amount of child support. As an example, if a parent’s ex is currently paying $400 per month child support, then remarries and has three more children and is forced to take on a second job to support those children, the receiving parent is precluded from asking the court for an upward modification of child support based on that extra income. After determining income and deductions, the number of children from the marriage will be factored in, and the court will allocate a percentage of the net income to be paid by each parent. If the non-residential parent has the children for at least 73 overnight visits each year, this will be calculated into the final determination of child support and will result in an adjustment to the amount of child support. The Child Support Guidelines Worksheet can give you a good idea of how much money you will be required to pay or will receive, however the final amount will be determined based on your individual circumstances. The court can consider outside sources of income available to the child, as well as whether a child will require special medical, dental or psychological care. In the end, assuming both parents are honest about income, the mathematical formula offered by the Child Support Guidelines Worksheet can make the determination of child support the simplest component in your divorce.